The ODT or OpenDocument Text file format was developed for a more seamless multi-platform support for open XML-based file format for office application. In most cases, you have to convert PDF files to ODT so as to allow word processing programs like Open Office to access and open the file and therefore edit it. Here I will teach you 2 ways to convert PDF to ODT file format. If you want to convert PDF to other formats, you can try to use PDFelement Pro. 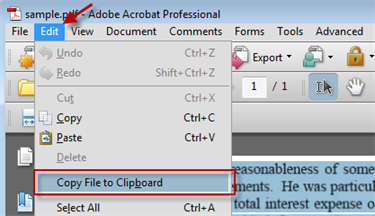 One easy and popular way to convert from PDF to ODT is by copying the contents of a PDF file to the clipboard after opening it with any PDF viewer that the computer comes with or that was installed to the system and pasting them on a blank page of Open Office Writer program. Step 1. Open the PDF file using Adobe Acrobat Pro. At the top of the screen, you will find the "Edit" option from which you can select "Copy File to Clipboard". This action copies the entire content of the file to the clipboard so you do not have to highlight the contents manually, which may be inconvenient and which puts a risk that part of the file is left out. Step 2. 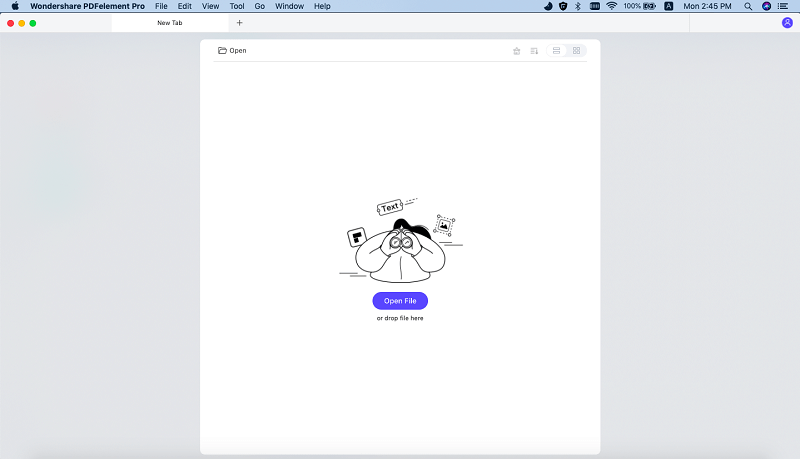 Launch open office and create a new document. On the blank page right-click on the mouse and select "Paste" from the set of options. This should paste the entire content that you copied from the PDF file. Several websites offer file conversion services, most of which are available for free. With a decent internet speed, you may avail of these services so as to eliminate the need to download and install any converter program on the computer. 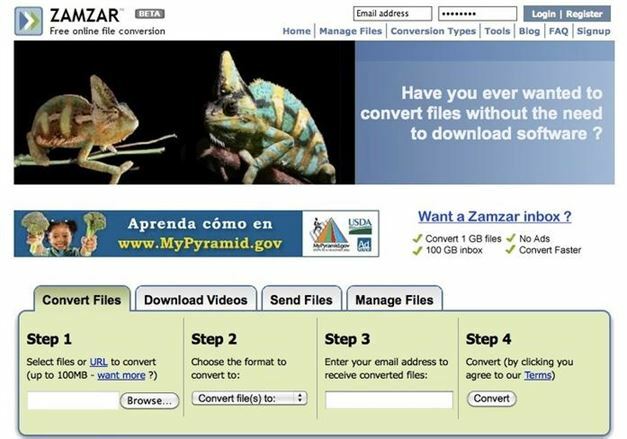 For file conversion from PDF to ODT, you may access Zamzar, which makes it possible to easily convert pdf files through the simple and easy to use website. The four steps to convert files are visible on the main page of the site to ensure that you are aware of and can keep track on the conversion progress. You first need to select which file or files to convert by clicking on the "Choose Files" button on the left which lets you browse for the file or files. Right next to the button is a drop-down menu to select what type should the file be converted to which will be step two. The next step is to enter the email address where the converted file would be sent to. You may enter the full email address on the text field provided which is next to the drop down menu for the file type. Finally, click on the "Convert" button on the right to launch the file conversion process. Now you have your PDF file converted to ODT, just like how you want it to be. To view or edit the file, simply download the file from the email. PDFelement ProPDFelement Pro has been trusted by several users due to its powerful performance that edit, convert, create, secure and share PDF files in an instant, yet it comes with an easy to use interface allowing even the least tech savvy users. Useful editing features include the ability to add annotations, comments, highlights and bookmarks without damaging or altering the original document. With just a few clicks you can convert your PDF file into other file type, without losing the integrity and quality of the document or file. Its batch processing feature helps you to edit, convert, watermark, OCR multiple PDF files at a time to make your work productive. The advanced form editing function allowing you to fill and create PDF form in an ease way. You can also extract data from multiple forms.